Today the iPad 4 with lightning has taken place of the iPad 2. It is the second replacement after the introduction of the iPhone 5c 8GB. Yesterday some information was leaked saying that Apple Store had received a stock of Apple’s iPad 4 with Retina display (and lightning) and strict instructions not to open the boxes until the next day. The device in question was released in October 2012 and it boasts an A6X processor, a five megapixel camera and Apple's lightning connector. This November, however, it was replaced by the iPad Air. The Wi-Fi model of the relaunched iPad 4 will cost you $399 and the cellular version is a bit more expensive $529. 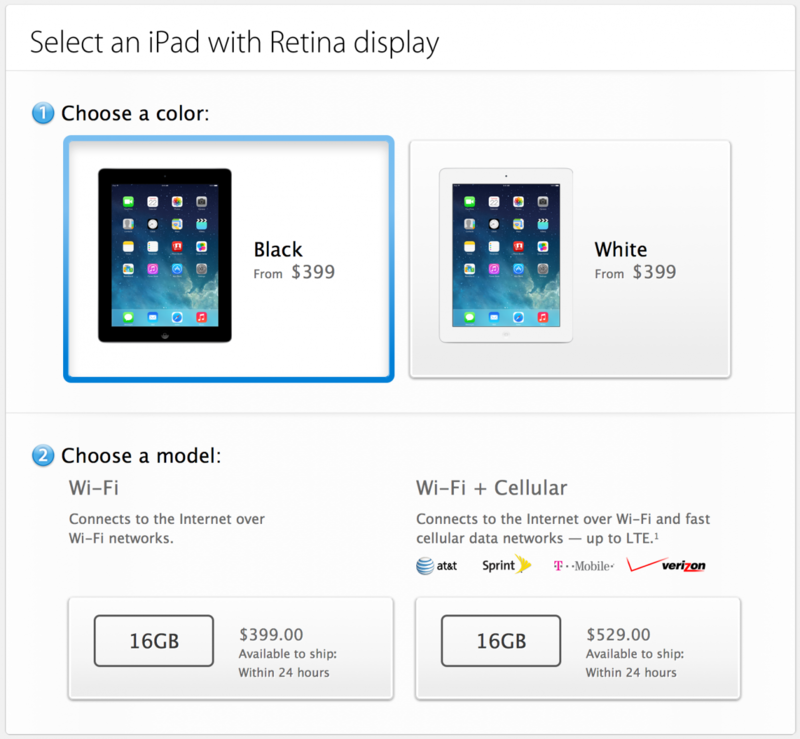 The iPad 4 is available for purchase in white or black with 16GB of storage. Apple must have valid reasons to replace the iPad 2, currently priced at $399, with the iPad 4.This substitution will help to get rid of the older 30-pin dock connector used on the iPad 2 and iPhone 4s. Thus the 8GB iPhone 5c has replace the iPhone 4s so that the old-fashioned connector ceases to exist.